Have I told you the tale of “Sweetheart Roland,” from the Brothers Grimm? In wonderful fairy tale style, it starts off with a woman killing her own daughter. We’ve also got a witch dancing to death, and a cheating lover. After all that, though there is a happy ending, for the beautiful, faithful young woman. The Grimms do love pretty girls who do the housework, don’t they? A witch had a daughter, whom she loved, and a stepdaughter she of course hated. No father is mentioned, not that he would have been much use anyway. Her daughter wanted the stepsister’s apron, and her mother promised she would have it: she would chop off the stepsister’s head in the night, and the daughter was to make sure she lay by the wall, and her stepsister in the front of the bed. The stepdaughter overheard this and, after the daughter slept, shifted their places. The witch cut off her own daughter’s head, and the stepdaughter rose and went to her sweetheart Roland, telling what had happened, and that they had to flee. Roland said they must take the witch’s silver wand. The stepdaughter went back to take it, and left three drops of the daughter’s blood, one on the stairs, one in the kitchen, and one by the bed. When in the morning, the witch called, the drops of blood answered her, but she could not see her daughter where she heard the voice. The witch went into the bedroom and saw her dead daughter who she herself had killed. Raging, she set out after the girl, who still doesn’t get a name, and Roland. She wore many league boots, which went an hour’s distance with each step, so she caught up to the pair quickly. When they saw the witch coming, the girl turned herself into a duck, and Roland into a pond. The witch was unable to lure the duck to her, and had to return home that night. The girl and Roland went on, but the next day the witch caught up with them again. 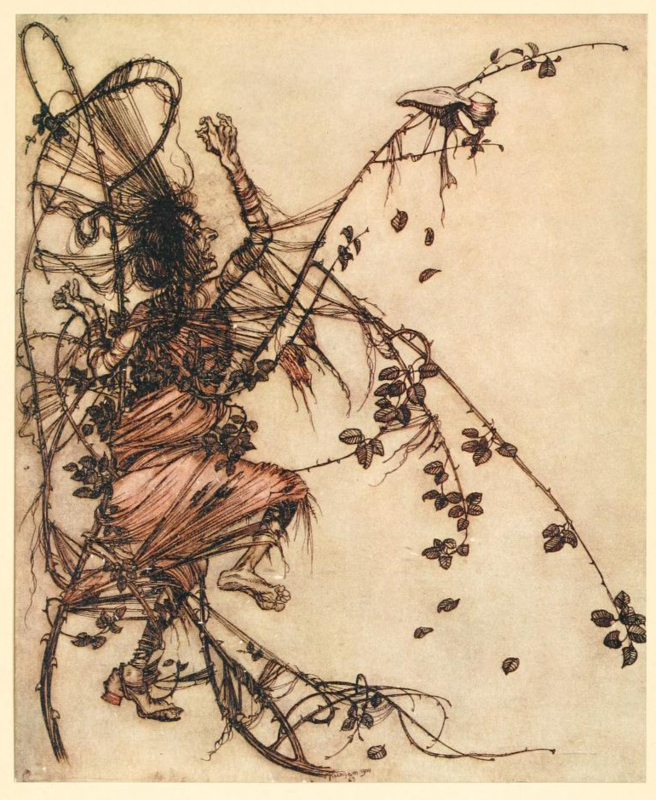 The girl turned Roland into a fiddler and herself into a flower in a briar hedge. The witch, recognizing who the flower was, asked permission from the fiddler to pick, which he readily gave. When the witch crawled into the briars, Roland played his fiddle, and the magic music forced her to dance whether she wanted to or not. The quicker he played, the more violent jumps and steps was she forced to make, and the thorns tore her clothes from her body, and pricked her and wounded her till she bled, and as he did not stop, she had to dance till she lay dead on the ground. Horrible image, isn’t it? Roland went to his father to arrange for the wedding, and the girl remained as a red boundary-stone, so no one would recognize her. That part just doesn’t make any sense to me. The witch was dead, who was a threat to her. She should have gone with him. If she didn’t want the father to see her, she could have become a bird or something, not stay stuck in a filed as a rock. Anyway, a woman made Roland forget the girl. Not even a witch or someone using magic. He just forgot about her. After a long time, the girl was so sad that he never returned she turned herself into a flower, thinking that someone would trample her. Instead, a shepherd picked her and took her home. He found that whenever he left, all the housework was done in his absence. At the advice of a wise woman, he threw a white cloth when he saw something move in the morning, and this revealed the girl. She agreed to keep house for him, but refused to marry him, wanting to stay true to her Roland. At Roland’s wedding to this other woman, all the girls in the area sang, as was the custom. The girl of our story had not wanted to attend, but the others forced her. Roland recognized his true love when he heard her voice and married her instead of his new bride. I will give him credit for marrying her even though she had been living with the shepherd for quite a while. Maybe he wasn’t too bad a guy after all. You can read the story several places on-line, including Authorama. This was my first short story read for R.I.P. VIII’s Peril of the Short Story. 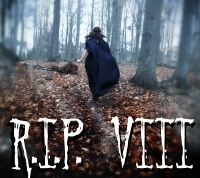 R.I.P VIII is a reading event embracing the ghastly and ghostly, mysterious and grim hosted by Carl at Stainless Steel Droppings. But the other woman probably tricked him with her feminine wiles. I love that story but she should have married th Shepherd! On the other hand, she did still have that magic wand. Why marry either of them. The one forgets about her, the other just wants her to keep his house. Those Grimm’s really know how to weave quite a story. This sounds perfect for R.I.P.! Very perfect for this time of year…and just a little disturbing! How not to love brothers Grimm and their stories? We get a nameless girl who is the main heroine of a fairy tale; we get a Roland who loves her dearly but forgets about her entirely. 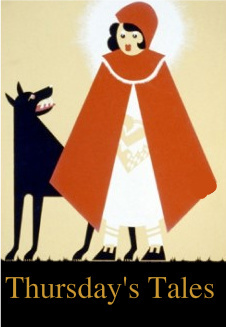 I would marry that shepherd if I were her. Me too. At least he appreciated her. Not a story I have heard before but it sounds deliciously dark.